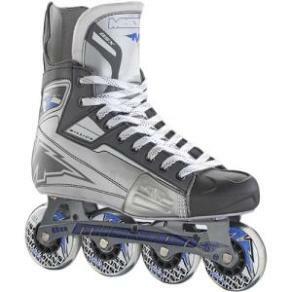 We carry a full line of roller skates and roller blades, as well as accessories for your skates, including bearing, laces, and wheels. Many of our skates are on display at our location, and we can custom order any skate or skate part you need. Just ask! 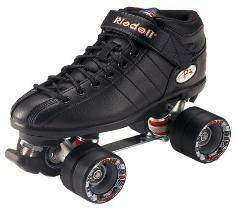 The Riedell R3 roller skate is the perfect combination of comfort and performance, making it the most popular skater skates on the market. 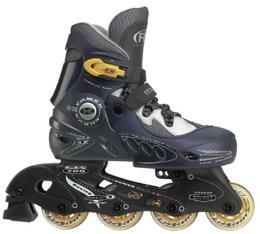 The R3 skate features a comfortable man-made vinyl boot with a durable PowerDyne Thrust plate, toe stop, bearings, and quality Radar Cayman wheels. The GTX 500 Adult Black Rink Skates are our best selling model for rink and recreational skating in the entire Pacer lineup. Secure fit with power strap snugs your foot into the comfortable speed profile boot. Lathed Mach 5 wheels with hub core and Bronze level bearing make skating effortless. 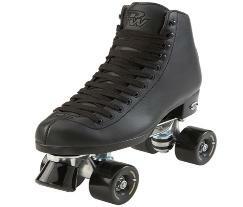 Designed for the occasional recreational skater, the RW Wave delivers comfort and style at an affordable price. The boot of the Wave skate features a soft, padded lining and is built around a proven Riedell last for a fit that has been renowned for years. Full-precision bearings and high-rebound urethane wheels complete the RW Wave and provide a smooth roll for you to enjoy. Roller Derby Pro Line 900 inline skate for men provides a stable and supportive molded style boot design and a Memory Comfort liner that remembers and cushions your feet. A triple buckle system gets you in and out of the skate quickly and easily without sacrificing a snug fit. The reinforced polymer bridge frame holds 76mm Speed Formula wheels with ABEC 7 bearings. 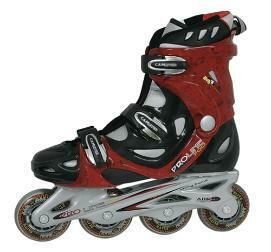 GTS 200 Adjustable Youth Inline Skate. Soft boot design, comfort support lining, cam lever buckle and powerstrap. 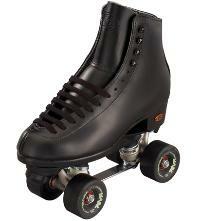 Reinforced nylon frame, light speed urethane wheels, ABEC 3 bearings. 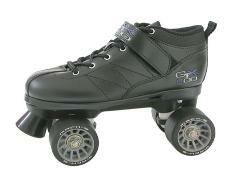 The Mission CSX inline hockey skates are the perfect choice for progressing players. The textured PU outer construction takes care of the durability so you can rip hard. The brushed nylon liner keeps the footsies comfy for longer sessions and the felt tongue eliminates ankle chafing and provides better support. The steel violator Hi-Lo chassis utilizes smaller wheels for the front two to give you an aggressive angle allowing you to lean lower. Mission CSX 78A wheels are great to use indoors and outdoors so you can play under the lights or sun. Get skates that you can rely on to up your game. 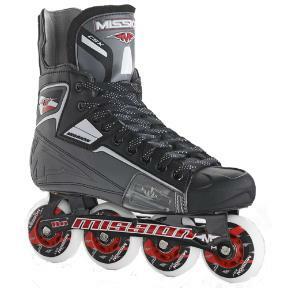 Mission BSX inline hockey skates is packed full of features and will not render the features of your wallet useless. The textured PU exterior is constructed to be durable so it can withstand more abuse. Brushed nylon interior keeps the player’s feet comfortable so they can get their game on without worrying about the skates. The Steel Violator Hi-Lo chassis allows the rider to get low to the ground for that aggressive burst of speed while maintaining control. The Mission BSX delivers the performance you demand without destroying your budget. We heard some of you were on #springbreak this week so we opened up another public skate on Thursday April 25th from 12:30-3p. Please come check us out if you are looking for something fun to do! Happy Easter! We are closed today to celebrate Easter Sunday with our families. All you adults out there asking yourself this question right now...see you tonight! © 2019 Waukesha Skateland. All information subject to change without notification.